Show your allegiance to Jacob’s pack with this Breaking Dawn Part 2 wrist cuff! 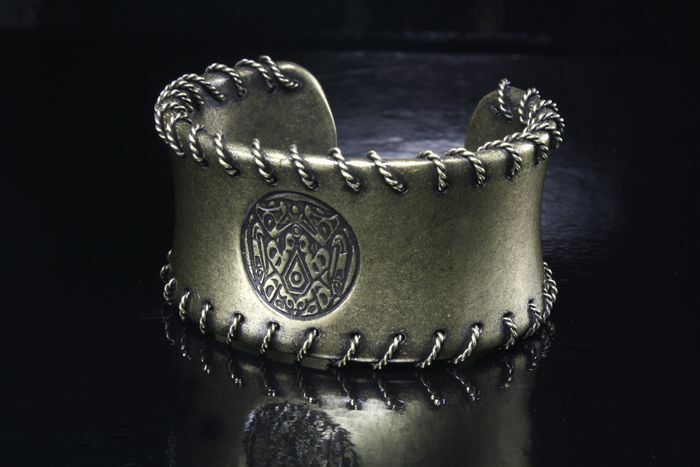 The polished brass-tone metal is stamped with Jacob’s tribal tattoo and then “stitched” with wire along the edges for an impressive effect. Great for any Twilight fan, male or female! Fits wrists up to 6″ around.